Your garage is the best place to start stocking up for winter. With a few additions, tweaks and purchases you can be ready for most of Mother Nature’s icy tricks. Don’t risk getting blindsided by freezing weather and snow. Preparing for all your winter needs now will help you avoid issues later. Your garage the best place to start stocking up for winter. With a few additions, tweaks and purchases you can be ready for most of Mother Nature’s icy tricks. The space you have available will affect your options for storing shoes and boots. Always keep in mind the main goal with this holder: to avoid water and sludge being tracked through the house. Whether you purchase a no-fuss holder or simply keep towels on hand to contain the wet shoes, make sure you are prepared. Also consider that your family and visitors may be coming in with more than just slushy shoes. Wet mittens, hats and sometimes snow pants will make it into your home and need a safe place to dry. Don’t be caught in a snowstorm without a window scraper. Put one of these in each car you own. At the point where you are away from home and you find your windshield covered in ice, it will be a lot harder to fix without this tool. Whether you have an emergency supply kit in your car, house or garage, take the time to make sure the kits include things that would help you get through an emergency in the winter time, such as emergency blankets and things to keep you warm, such as hand warmers. Make sure that whatever you get is appropriate to store in the garage if that is where you are keeping your kit. Also, be mindful of things like candles that may not be a great thing to store in your garage once the weather turns warm. “Create an emergency supply kit for your car. Include jumper cables, sand, a flashlight, warm clothes, blankets, bottled water, and nonperishable snacks. Keep the gas tank full,” suggests Ready. Depending on where you are planning to drive, you may want to have snow chains on hand. During the months when you don’t need the lawn mower and garden tools, there is no need for them to take up prime shelf and floor space. Move the summer tools and bring in things like the snow shovels and snowblower so that they are easy to access whenever you need them. The moment you realize that the front walkway is covered in ice is not the same moment that you want to realize you are out of ice-melt. Plan a quick trip to the store for this winter essential. If your sleds have been stashed in the back of your garage, now is the time to bring them forward. Make space for them in an easily accessible location so that going sledding doesn’t have to be an ordeal. As you are stocking your garage and preparing for winter, don’t forget to make sure that the garage itself is ready for winter. For example, you may want to check the weather stripping around doors and have someone come and look at your garage door to make sure it is running smoothly. The last thing you want to do in the winter is find yourself locked out of your garage because the door won’t open. Proper lubrication, healthy springs and working batteries in the garage door opener are a few of the things that a garage door needs to continue working properly. “If you replace the battery in the remote and it still doesn’t work, give a reputable garage door company a call to diagnose the problem. A new garage door opener is typically not needed, unless yours is more than 10 years old,” recommends Overhead Door. 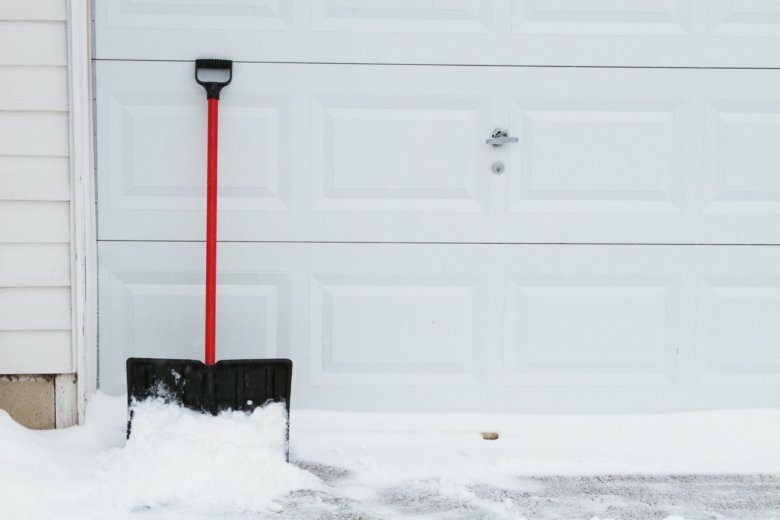 Giving your winter supplies and garage a little bit of pre-winter attention will help you get through the cold months. If winter has already come to your neighborhood in full force, don’t delay in getting these things done. There is no time like the present to prepare for the future. If you need help with things like garage door repairs or emergency preparedness, make sure to visit a professional near you.